I have loved Cally for a long time and have read every book as they have come out so when i saw this was on netgalley for early review i knew i was going to get in on it. This is a hard one to review because ever since finishing this, i literally dont know how to feel. This book has sat with me for days now and even now, im still not sure. It was creepy, it was odd & i just i dont know. However what i know is that its one of those that sits with you and its not very often that that happens so when it does, i know its something major. Lou Wandsworth is returning to her home time to clear out her dads house after he passed away - its the first time she has been back since she was a teenager and fled after she ran away to france with her karate teacher. She planned on just getting on with her life, but when she comes across new information about Chloe Meadows what was going to be answers turns into so much more. There is more to Mike than what we are the reader are led to beileve. This is told from a few different perspectives, i kind of guessed how some were connected quite quickly,but that didnt deter from what was going to happen. I was left shocked and kept guessing even up until the end, literally the last page still managed to throw a curveball in there. The fear is that, it literally gave me fear, its not scary in your typical way but it still chills you with the possibilites, i flew through this to the point i finished it in 2 days - and the only reason that it wasnt quicker was because i had to sleep. Nothing is as it seems and everything you assume is thrown up into the air. Totally worth a read - it sticks with you. C.L. Taylor lives in Bristol with her partner and young son. She is a three times Sunday Times bestseller and her books have hit the number one spots on Amazon, Kobo, iBooks and Google Play. Cally has a degree in Psychology, with particular interest in abnormal and criminal Psychology. She also loves knitting, Dr Who, Sherlock, Great British Bake Off and Margaret Atwood and blames Roald Dahl's Tales of the Unexpected for her love of a dark tale. 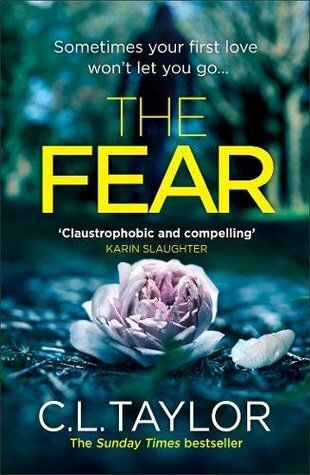 Her fifth psychological thriller THE FEAR will be published on 22nd March 2018. THE TREATMENT, her Young Adult thriller, was the fastest selling UK YA debut of 2017.